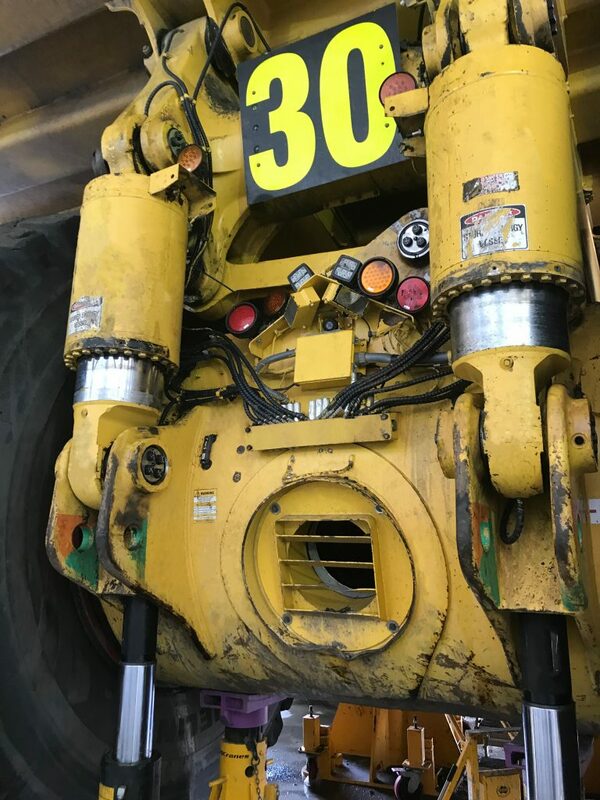 A major mine owner in the Bowen Basin was experiencing issues OEM supplied strut pins used across their fleet. The OEM supplied pins were seizing into the chassis and spherical bearings of the suspension cylinders. Subsequent removal required thermal lancing to extract the pins. Thermal lancing and boring seized pins present increased safety risks, maintenance costs and result in extended downtime. Minimising downtime is a major consideration for owners of mobile mining equipment. The customer had been using the Birrana™ colleted pins on and off in conjunction with the traditional OEM pins and were impressed with the extended life and ease of installation and extraction the Birrana™ pins offered over the OEM. As the Birrana™ pins do not require lancing for removal, there is a significant downtime and risk reduction due to not needing to remove the rear wheels. Additionally, after lancing seized OEM pins, the bores of the chassis require reclamation for corrosion damage. This is not required when utilizing the Birrana™ colleted pins as they are corrosion resistant, easy to install and remove, maintenance free, reusable, and overall safer than traditional pins. The customer has now made a directive to converted their entire fleet to Birrana™ colleted pins. Since implementing Birrana™ colleted pins, the customer has quoted downtime savings of at least 12 hours per suspension cylinder change and an improvement in safety due to not having to remove tyres or perform thermal lancing to remove seized pins.